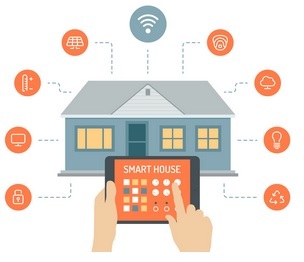 Home automation or smart home generally involves a method/system for controlling any type of device in home such as washer/dryers, ovens or refrigerators/freezers, lighting and heating, ventilation & air conditioning(HVAC) etc remotely/wirelessly (let’s call it automatically) such as by detecting the presence of human beings. In 1898, Nikola Tesla invented a method for controlling a vehicle remotely. That created a revolution in automobile industry, which later adopted in many other sectors, such as remotely controlling gaming devices, weapons, TV sets, robots and many other devices giving birth to the concept of home automation. 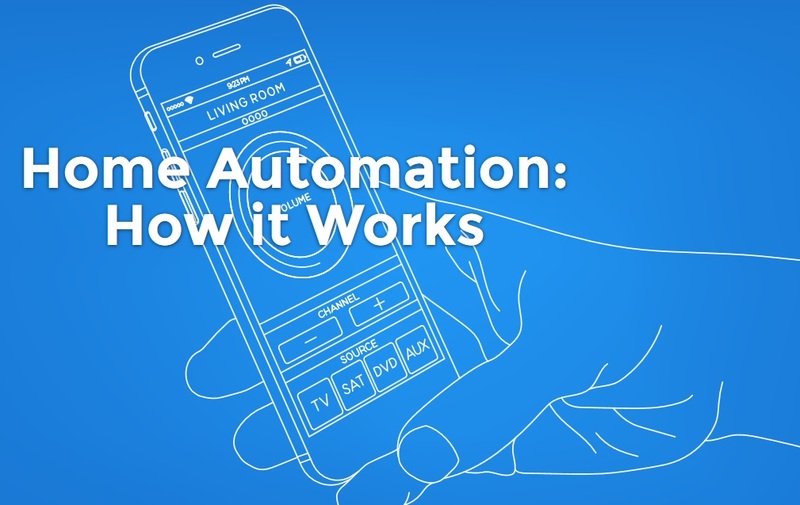 The remote control technology is fundamental to today’s home automation. In 1975, home automation network technology, X10 was developed, which is essentially a communication methodology used for communicating with the home appliances. (A depiction of home automation)Home appliances came into existence in 1900. In 1904, first washing machine was invented followed by refrigerators, sewing machines, dishwashers, and clothes dryers, etc. Home automation generally relates to the operation of several home appliances such as TV, lighting and refrigerator etc and a central remote controller. Home appliances and remote controller can be connected by either Wi-Fi, Bluetooth, Zigbee or Z-Wave. The central remote controller can be a Smartphone or a tablet or any handheld device. An application in the Smartphone or Button on the handheld device can be used to control the devices in the home. Instead of remote controller, sensors can be installed in the home to detect any human presence or human gestures to control the devices in the home. The applications of home automation are many; the most important ones are listed below. Motion sensors are used to detect any intrusions in home and send an alert to the owner of the home. Security cameras are used for monitoring children or pets and generate a notification to the caregiver or parents. Smoke, fire and carbon monoxide detectors can be used to detect abnormal level of gases in home and communicate with emergency services. Automatic sprinkling of water in lawns and timely notifications for maintenance of lawn. Remotely controlling the temperatures of grilles, cooking, refrigerator and oven etc. Home automation saves valuable time, which the users can spend with their family and friends or engage in other activities. Also it saves manual labor and most importantly keeps an eye on everything at home so that accidents can be avoided. For example, keeping an eye on children can stop children from getting hurt. Another major factor is ease of use i.e. with a mobile application a user can control everything at home. (A tablet for controlling home appliances)Despite all these applications and advantages, there are pitfalls too. Not all people can feel comfortable using home automation. Mobile application’s quality is also questionable, bad apps can lead to accidents at home. One of the major factors is security. If anybody hacks into the system, the hacker can access any device in home, which is a grave concern and another issue is high costs. Inspite of low-cost manufacturing technologies available today, home automation is still not in the affordable range of anordinary person. 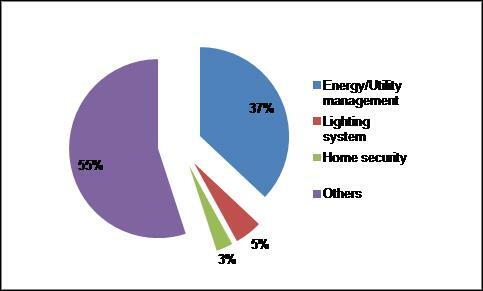 Also we can see from the graph here that only 3% of patents on home automation are related to home security, which highlights how narrowly the security in home is considered. 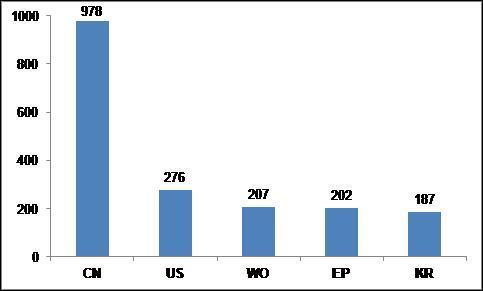 Home automation seems rapidly growing in China and making steady progress in developed countries, such as USA and France. However majority of developing countries globally are still on the way to adopting it. The prime reason for this is majority of people are not aware of home automation. And the people who are aware of this technology are worried about security and high costs. Once these factors are eliminated we can see enormous growth in this field in the future.